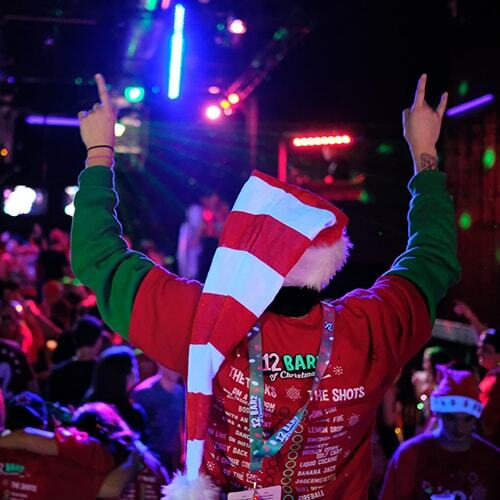 The 12 Barz of Christmas® is a registered trademark of XL Lifestyle. 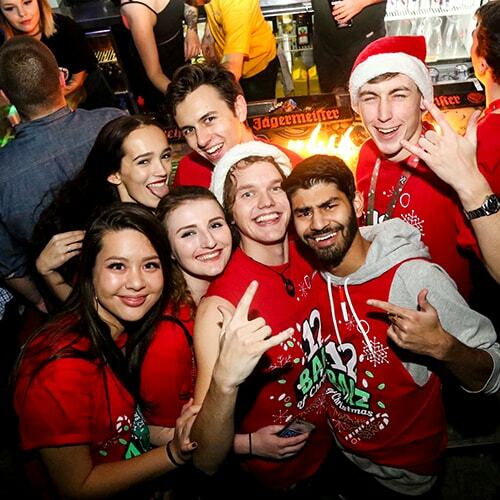 From 7pm - 11pm, travel to 4 of your favourite bars across the city in teams of 100-150 rotating every hour. Don't worry, we've got a team specific map on the new 12 barz app to ensure you know where to go. Everyone rocks the famous t-shirt. Cut it up, customize it, or even add a costume! Sharpies are handed out & writing on shirts is highly encouraged. 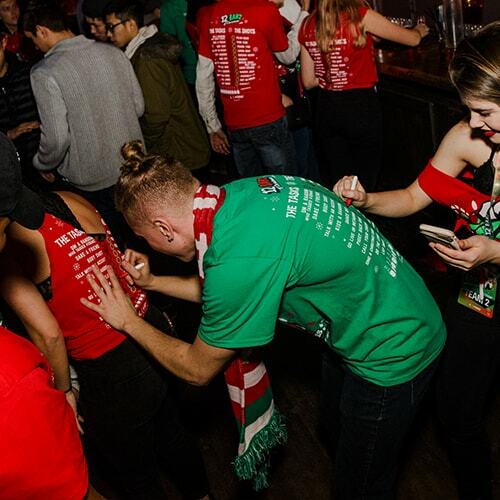 Meet new friends & check off the list of tasks on the back of your shirt. 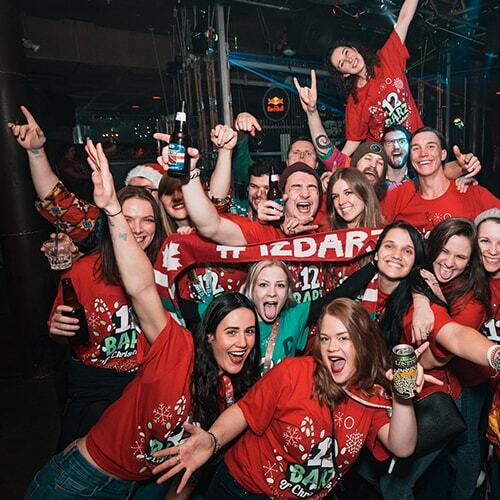 At 11pm, all teams meet at the final bar for the massive ending party! What happens after is up to you! 1. 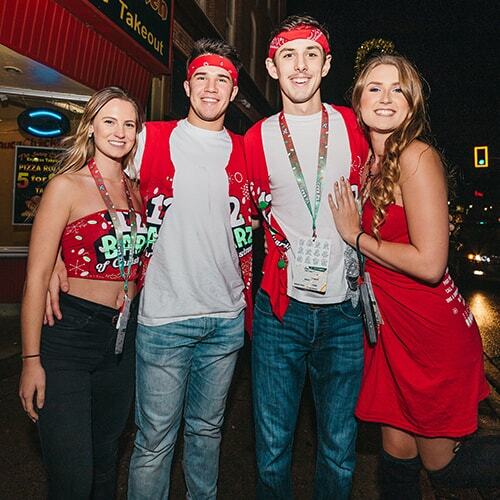 Exclusive access to the bars on your team route. No cover and direct entry at all locations. 2. 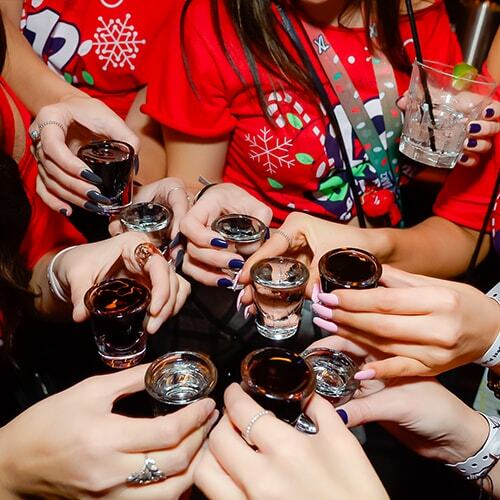 Featured shot & drink specials at every bar. 3. 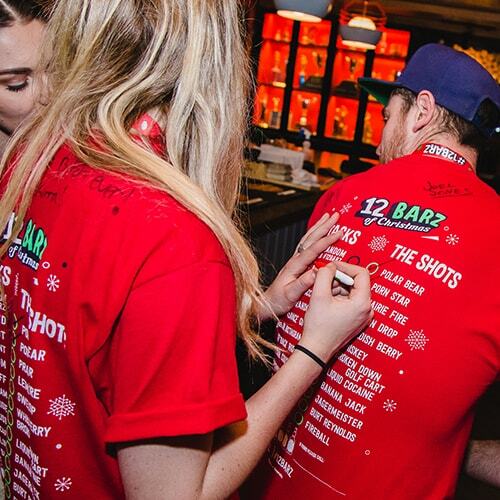 The BRAND NEW 12 Barz Sharpie, Stickers & The Official 2018 Shot Glass. 4. A Memorabilia T-Shirt covered in sharpie messages from randoms and friends. 5. Access to EventPass - The NEW 12 Barz Event App. - “I can’t make it!” NO WORRIES. Just ask a friend! - “Can I pick up for a friend?” YES! Just bring their ticket. - “Do I need to print my ticket?” NO! Phone works fine. - “Do I need to bring ID?” NOPE! ID is only required to buy booze. - “Can I change my team or shirt size?” ONLY BEFORE T-SHIRT PICKUP! When picking up multiple shirts, bring a bag! That way you won’t lose any Shirts, Sharpies, or Shot Glasses. Download EventPass and add your ticket! Chat with your entire team, old friends and new! 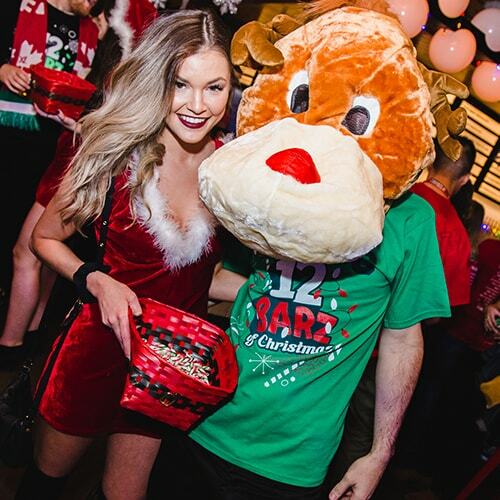 Easily find your team lineup, drink specials & directions. No more lost friends! Add your friends and see where they are in real-time. Snap pictures and add custom 12 Barz branded filters. 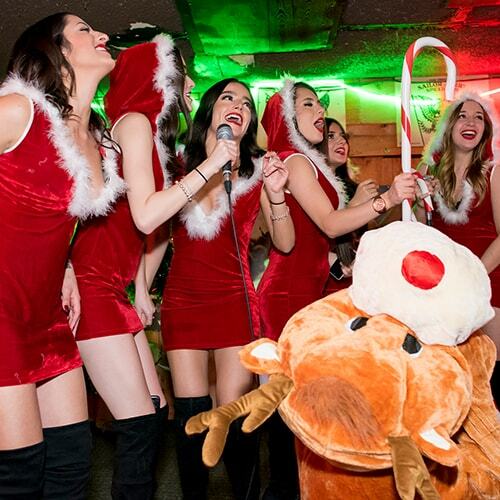 Stay up to date with Secret Drink Specials and more!